God’s words and promises for you in the Bible are timeless. And these daily devotions are based securely on those truths, which offer you the freedom to live your life under God’s grace. 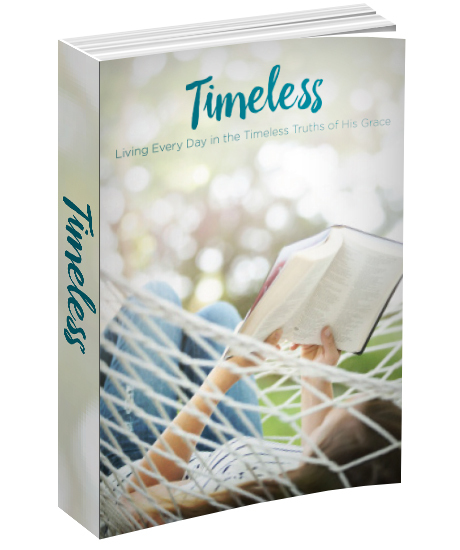 Timeless is a compilation of the 2015 quarterly Grace Moments devotions. Each devotion provides hope and encouragement for your daily walk with God. Paperback, 390 pages, 5.5" X 8.5"
Successfully added Timeless: Living Every Day in the Timeless Truths of His Grace to your cart.